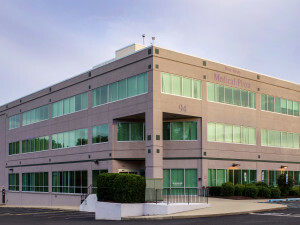 Wolf Commercial Real Estate, a leading Marlton commercial real estate broker with expertise in Marlton commercial real estate listings and services, now has available premier Marlton medical space for lease at 94 Brick Road Marlton NJ. This extremely well-maintained Marlton medical building for lease is located in the West Jersey Office Plaza in the heart of one of the main commerce centers in Southern New Jersey. The location of this Marlton medical office space for lease provides convenient access to major medical facilities, including a hospital and multiplex rehabilitation facility, as well as to retail stores and restaurants. This professional medical space for lease in Marlton is perfect for a variety of medical uses. This Marlton medical office building for lease at 94 Brick Road Marlton NJ has suites available in sizes ranging from 1,500 square feet to 38,785 square feet (divisible). The asking lease price for this professional medical space in Marlton is $17.00/sf gross plus utilities. This Marlton medical building for lease in the West Jersey Office Plaza is being offered for immediate occupancy by Wolf Commercial Real Estate, a Marlton commercial real estate brokerage firm that specializes in Marlton commercial real estate listings and services. Locally owned and managed, this Marlton medical office building for lease has an excellent window line around the entire building. This professional medical space for lease in Marlton also provides building signage to tenants. This Marlton medical space for lease at 94 Brick Road Marlton NJ sits on the grounds of the Virtua West Jersey Health System Marlton Campus, Marlton Rehabilitation Hospital and Weisman Children’s Rehabilitation Hospital. There also are many retailers and restaurants in the immediate vicinity of this Marlton medical building for lease, including The Promenade at Sagemore, an active, upscale shopping and dining destination. This Marlton medical office space for lease in the West Jersey Office Plaza is located south of Route 70 at the intersection of Route 73 and Brick Road. This professional medical space in Marlton is conveniently accessible from Routes 73 and 70, I-295, the New Jersey Turnpike and the Atlantic City Expressway. This professional medical space for lease in Marlton is now available through Wolf Commercial Real Estate, a Marlton commercial real estate broker that specializes in Marlton commercial real estate listings and services. Parking is ample at this Marlton medical office building for lease at a ratio of 4.00/1,000 sf. On average, nearly 57,000 vehicles per day pass by this professional medical space in Marlton at the intersection of Route 73 and Brick Road. More than 151,564 people reside within five miles of this Marlton medical office space for lease. For more information about this Marlton medical space for lease in the West Jersey Office Plaza at 94 Brick Road Marlton NJ, or about any other Marlton commercial properties for sale or lease, please contact Leor Hemo (856-857-6302; leor.hemo@wolfcre.com) or Christopher Henderson (856-857-6337; chris.henderson@wolfcre.com) at Wolf Commercial Real Estate, a leading Marlton commercial real estate brokerage firm. Wolf Commercial Real Estate is a leading Marlton commercial real estate broker that provides a full range of Marlton commercial real estate listings and services, marketing commercial offices, medical properties, industrial properties, land properties, retail buildings and other Marlton commercial properties for buyers, tenants, investors and sellers. Please visit our websites for a full listing of Marlton commercial properties for lease or sale through our Marlton commercial real estate brokerage firm.